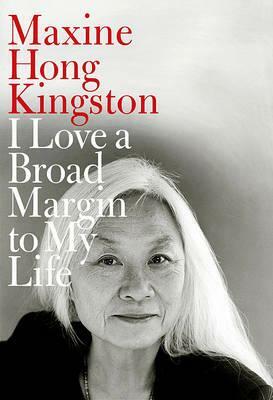 In her singular voice--humble, elegiac, practical--Maxine Hong Kingston sets out to reflect on aging as she turns sixty-five. Kingston's swift, effortlessly flowing verse lines feel instantly natural in this fresh approach to the art of memoir, as she circles from present to past and back, from lunch with a writer friend to the funeral of a Vietnam veteran, from her long marriage ("can't divorce until we get it right. / Love, that is. Get love right") to her arrest at a peace march in Washington, where she and her "sisters" protested the Iraq war in the George W. Bush years. Kingston embraces Thoreau's notion of a "broad margin," hoping to expand her vista: "I'm standing on top of a hill; / I can see everywhichway-- / the long way that I came, and the few / places I have yet to go. Treat / my whole life as if it were a day." On her journeys as writer, peace activist, teacher, and mother, Kingston revisits her most beloved characters: she learns the final fate of her Woman Warrior, and she takes her Tripmaster Monkey, a hip Chinese American, on a journey through China, where he has never been--a trip that becomes a beautiful meditation on the country then and now, on a culture where rice farmers still work in the age-old way, even as a new era is dawning. "All over China," she writes, "and places where Chinese are, populations / are on the move, going home. That home / where Mother and Father are buried. Doors / between heaven and earth open wide." Such is the spirit of this wonderful book--a sense of doors opening wide onto an American life of great purpose and joy, and the tonic wisdom of a writer we have come to cherish. "Rich. . . . Only a few older writers--poets or not--can manage this balance of self-amusement and genuine longing. It's an effect fully equal to the shaded tones of Kingston's best writing." --"The New York Times Book Review"
"[A] graceful meditation. . . . Achieves meaningful insights into the art of living." --"Boston Globe"
"A gentle, meandering memoir, organized as a long poem. . . . Cinematic and sensual." --"San Francisco Chronicle"
"Delights as an unconventional, intimate and intensely personal life story. . . . Forcing a slower, calmer contemplation of Hong Kingston's words. . . . Moving. . . . Whether she's recalling the birth of her son or the time she was arrested for protesting the Iraq war, Kingston's memories are pungent and vivid." --"Post and Courier"
"She leads the reader on a tour of her native China, her rich language often matching the lushness of the landscape itself. . . . Effortlessly transitions from personal experience to the worlds of her characters. . . . As much an examination of the nature of time and aging as it is an exploration of cultural identity and origin, "I Love a Broad Margin to my Life" contains both moments of dark alienation and buoyant transcendence." --"Time Out New York"
"Blurring the lines among poetry, fiction, and memoir. . . . A meditation on form and formlessness, on meaning and identity, and how the most essential truths often exist outside the boundaries, in something of an ur-state." --"Los Angeles Times"
Maxine Hong Kingston is the author of The Woman Warrior, China Men, Tripmaster Monkey, and The Fifth Book of Peace, among other works. She is the recipient of numerous awards, including the National Book Award, the National Book Critics Circle Award, the presidentially conferred National Humanities Medal, and the Medal for Distinguished Contribution to American Letters from the National Book Foundation. For many years a Senior Lecturer for Creative Writing at UC Berkeley, she lives in California.